The 4 channel Security DVR is the latest in our Elite Series of Economy Pentabrid recorders. If you like options and choices then this is for you! With the capability of working with five different technologies, you’ll have plenty of cameras that you can choose from. This will work with HD-CVI, TVI, AHD, Analog and even IP cameras. You can connect four HD (CVI, TVI, AHD, Analog) and an additional two IP cameras up to 6MP or you can use all six channels for just IP cameras. For recording, you can record 5M-N at 10fps, 4M-N/1080P at 15fps, and 1080N, 1MP, 960H at 30fps. Now, this unit will record in 5MP-N resolution or a lite and stretched 5MP resolution, this is the same way it records 4MP resolution. This is more a 1080p recorder, that has the ability to take some higher megapixel resolution cameras, but it will not be in their true resolution. All you need to connect your DVR and HD cameras is good quality coaxial cable and a standard 12V power supply, which many of you will already have in place. If you want to connect IP cameras you will need to run network cable and you will need a PoE switch to supply power to the IP Cameras. This mini economy DVR is packed with a lot of features for a small recorder. Beyond the recording capabilities, this recorder uses some of the latest technology available. 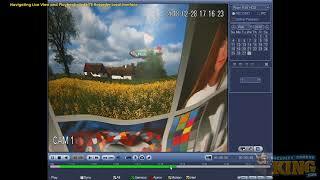 Take for instance the Smart H.265+ video encoding format. This efficient form of video compression works to reduce transmission bit rate while reducing storage space. This allows your recorder to work more efficiently and saves you hard drive space. 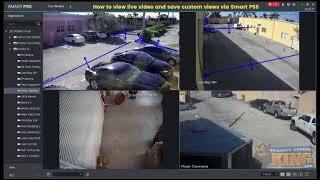 IVS (Intelligent Video System) is a set of analytics that allow the recorder to work in conjunction with your IVS capable cameras to recognize certain behaviors and occurrences. 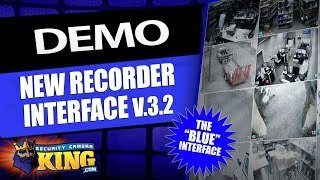 There are a number of available settings including Intrusion Detection, Abandoned/Missing Object, People Counting, Scene Change, etc. and there is even Face Detection that works with cameras with facial detection software. This Pentabrid DVR uses a dual core processor, an embedded Linux OS and a user friendly GUI Interface that is easy to work with when configuring your settings. With a monitor connected by either HDMI or VGA, you can then complete your setup and view your cameras. 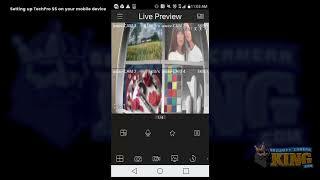 If you prefer, you can actually disconnect your monitor and view your cameras remotely, even on your smart phone from anywhere in the world that you have an internet connection. With room for one hard drive up to 8TB, you’ll have plenty of space to record the maximum number of cameras with high definition resolution. Make sure you choose the size hard drive you need and add it to your order so we can install, configure and test everything before shipping your recorder to you. 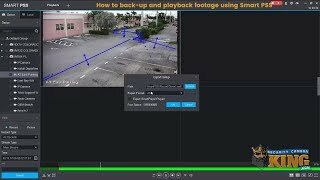 To copy footage and share it, it’s as easy as plugging a flash drive into one of the two USB ports and making a copy of just the footage you want to share. You can now share that with police, lawyers, insurance adjusters, or whomever you want. It will come with a 1 year warranty, FREE US based tech support and FREE remote monitoring software.